This weekend a much-awaited movie of Akshay Kumar – Padman has been released. It touches the taboo subject of women’s menstruation in a country which still shies away from accepting a natural process. The movie is a real-life story of Arunachalam Muruganantham of Coimbatore. A very bold man who stood up to social stigma, ridicule and social ostracization to make affordable sanitary pads for women. By now, we all have heard about how a newly-married Muruganantham discovered his wife using rags to manage her periods and wanted to find an alternative to maintain her hygiene. I personally feel Muruganantham’s love for his wife far surpasses the love of Shah Jahan for Mumtaz. The ‘Padman’ faced ridicule and social prohibition and went on to invent a product to make his wife’s life better when she was alive and kicking rather than building a majestic tomb after death. 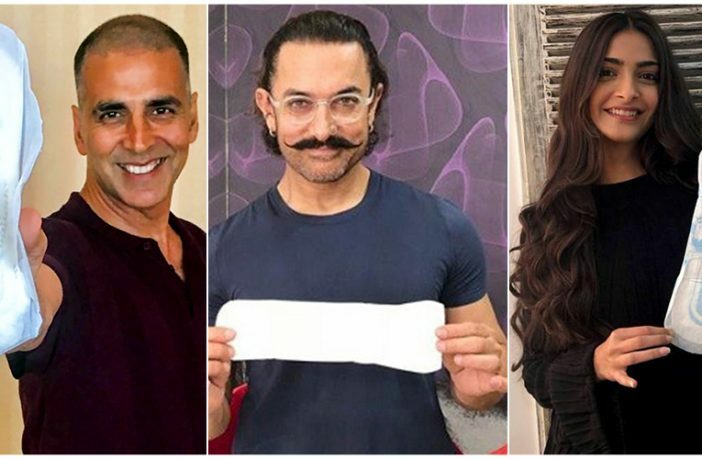 Does “Padman” talk only about using a sanitary pad? NO. Neither the hero in the movie or the real hero Muruganantham are not talking just about the usage of sanitary pads. The real-life Padman did not invent the machine to make low-cost sanitary pads for fame or for profit. He just wanted his wife to maintain “Menstrual Hygiene”. Statistics show that out of the entire population of menstruating women in India, only 12% use sanitary pads. 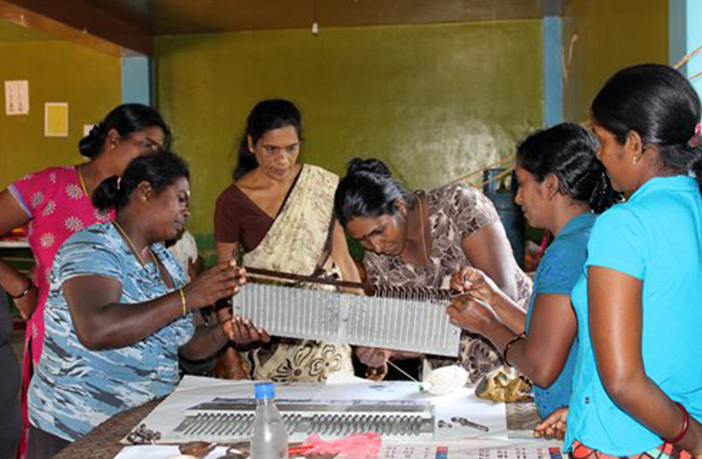 Around 80% of rural women use unhygienic materials like sand, ash, husk etc. This unhygienic use has led to severe infections of reproductive and uterine tracts. There are many fatalities which happen due to unhygienic practices during menstruation and after childbirth and are unreported. Though most women sincerely want to use better methods to manage their periods and maintain hygiene, the biggest hindrance to the cost and accessibility. The sanitary products sold by MNCs are expensive for most households. This is the issue which India’s “Padman” Mr.Muruganantham addressed. 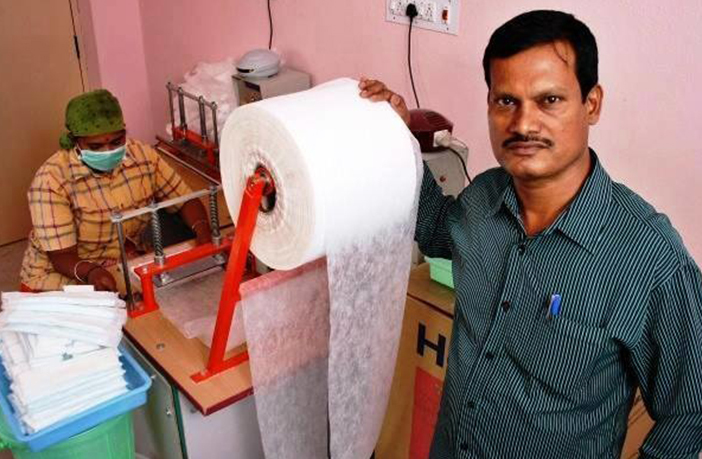 He invented a low-cost model to manufacture sanitary napkins and also made it accessible by selling it to only women self-help groups and other enterprising women. Why is Menstrual Hygiene ignored? It is not just the rural women in India but also the majority of lower economic class women in urban areas also do not practice hygienic methods of protection during periods. The main reason for this is the taboo associated with menstruation. There is a shame infused in the women of the patriarchal society about monthly periods. It is preached in many religions that periods are impure and a menstruating woman is polluted. They are barred from entering religious places and performing any religious rites as well. Menstruating women are prohibited from entering the kitchen or made to stay in isolation even in urban areas. In rural India, many villages have something called as “Menstruation Huts” where women on periods are made to stay. These huts are ill-maintained, lack basic sanitation facilities and are not comfortable either. Young girls who have just attained puberty are advised to manage their periods without bringing it to the notice of other men or boys in the family. As a consequence of these faiths and beliefs, many women resort to avoid bathing or avoid drying of the cloth napkin in sunlight or use sand/ash etc. Even if women use cloth pads, they are neither washed properly nor dried well. So, for many women adhering to the beliefs and avoiding period shaming seems more important than maintaining hygiene. Of course, there are traditionalists who claim that there is a scientific and logical reasoning for all ancient practices. They assert that these practices came into being to give sufficient rest at the time of periods which can be tiring and painful also. However, with the advent of better sanitary protection and medication, managing periods along with other work is possible. Do men really need to know about periods? It is important for men to be aware that menstruation is not impure. It is a natural process that shows fertility of the females. In fact, every female of the species has similar cycles but may not be visible as in humans. It is the process that leads to the creation of life and continuity of the human species. Every human being on this earth owes their existence to a menstruating woman. Is this process very comfortable and enjoyable for women? No. Menstruation happens due to numerous hormonal changes in the body and women face pre-menstrual symptoms, severe cramps and many other discomforts during their periods. So, it is important for men to know and understand what a woman has to undergo to be able to create a progeny. A woman needs to maintain good hygiene and also be comfortable to stay healthy and free from any type of infections during her periods. And her periods are not going to pollute anyone nor it is a sin to menstruate. Aren’t sanitary pads one of the major pollutants? Yes. Sanitary napkins are non-biodegradable and one of the major pollutants in this planet! Are there other non-polluting and hygienic options? Yes! These days there are many people who are creating awareness about maintaining menstrual hygiene through eco-friendly products. Eco-friendly and biodegradable sanitary napkins have come into the market and so have menstrual cups.There are many who still vouch for the old-style cloth pads. There is no harm if you use cloth pads provided you wash it and dry it thoroughly. Dear Readers, our society gives so much importance to a mother but unfortunately, we forget that it was the very menstrual cycle of our mothers that led to our existence. We do not mind the red colored paan stains on our streets and corners but bother about the red-colored period stains on a woman’s cloth. We celebrate the arrival of the first period of a girl but impose many restrictions on her during her periods. It is high time that we accept menstruation as a natural process and not as a taboo. It is as natural as growing hair on your head or feeling hungry. Periods are the time when women need utmost comfort and hygiene and keeping it in the closet does more harm than good to a woman in the reproductive age. Let us salute our hero Muruganantham who stood up against the societal norms and risk losing his family, to provide a hygienic sanitary product to women. We have to appreciate such ordinary men with extraordinary purpose, who accepted their wife’s periods and went out of their way to make the monthly flow comfortable for her.